You are going to Watch One Piece Episode 423 English dubbed online free episodes with HQ / high quality. Stream Anime One Piece Episode 423 Online English dub A Reunion in Hell?! The Man Who Ate the Chop-Chop Fruit! Hancock petrifies Domino and the camera snail to allow Luffy to sneak out before submitting to the search. 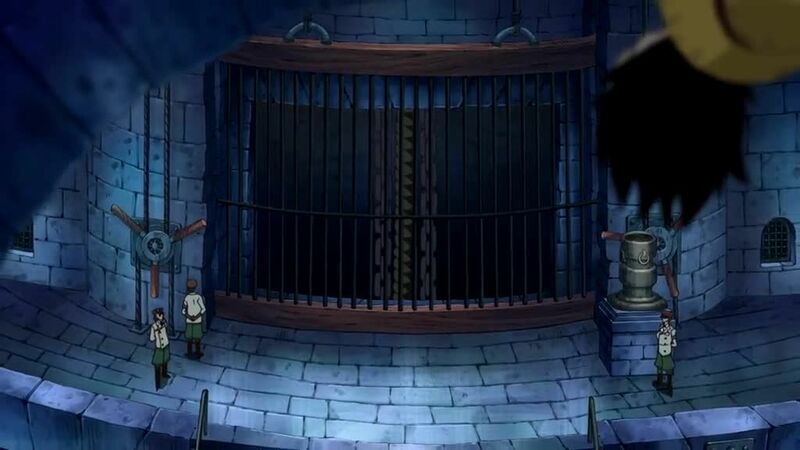 She boards the elevator to Warden Magellan on Level 4 while hearing about the different levels of the prison. Luffy sneaks into Level 1 while Buggy is in the middle of breaking out of his cell, having concealed his Devil Fruit ability. Buggy alerts some guards and triggers some traps during his escape, but Luffy manages to evade them and hears a rumor that Ace is on Level 5. Buggy runs by, pursued by the powerful Blugori, and after some bickering between him and Luffy, they decide to team up to fight off the enemies.